Japan, Fukushima Province, Aizu Castle, 2008, IMG_1695rS - Many towns in Japan have castles. They don't look at all like European castles, which are usually made of stone. Japanese castles typically have a moat that is lined with sloping stone walls, but the structure is usually composed largely of wood with great beams and the typically superlative Japanese workmanship and engineering. 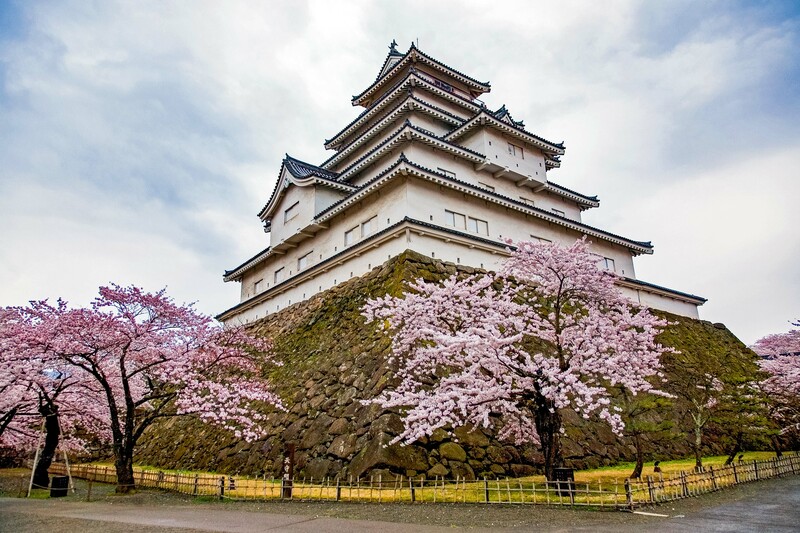 The Aizu castle here is shown during the few days that the cherry blossoms open. This day was April 17, 2007.